Both British Airways and Air France have confirmed today that they will axe services to Iran from September this year, months after US President Donald Trump announced he would re-impose sanctions on Tehran. IAG's UK airline, British Airways will fly its last flight to Tehran on 22nd September, with the last inbound flight concluding the operation the next day. The airline says it is making the decision “as the operation is currently not commercially viable”. However, The Trump administration has warned that tough sanctions could be applied to any company or country that continued to do business with Iran. KLM Royal Dutch Airlines had earlier confirmed it was also axing its services to Iran, the last flight will take off from Amsterdam on 22nd September 2018 and land at Schiphol on 23 September. Lufthansa, the German airline has so far not bowed to US requests to sever ties with Iran, “We are closely monitoring the developments ... For the time being, Lufthansa will continue to fly to Tehran as scheduled and no changes are envisaged,” a spokesperson for the airline told the media today. 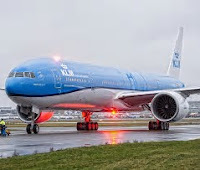 Ardant Trump supporter, Israeli Prime Minister, Benjamin Netanyahu welcomed the news, “Today we learned that three major carriers, BA, KLM, and Air France, have discontinued their activities in Iran. That is good, more should follow, more will follow." he said at a press conference on Thursday. Some political commentators in the region see the fact that both KLM and BA are ending their flights on the same day as an ominous sign. They also report that some European countries have asked all non-essential staff at embassies and diplomatic missions to leave Tehrain before the end of September.